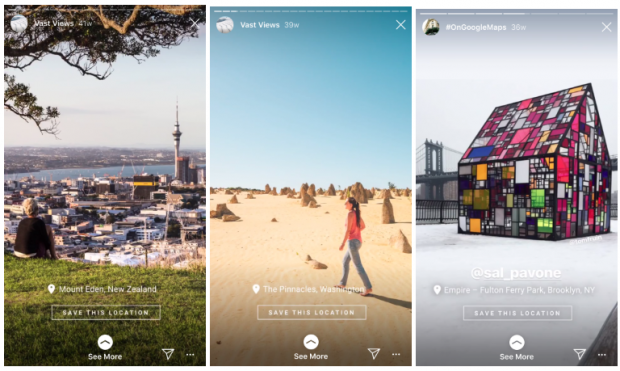 With 400 million people watching Instagram Stories daily, brands are increasingly taking advantage of the format to engage audiences and share content. 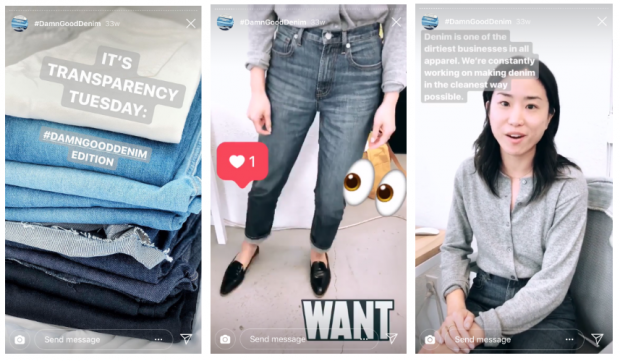 Everlane is a digital-first apparel brand that built a strong Snapchat following before Instagram Stories even existed. This gave them an edge in mastering the format. They’ve long been known for featuring the type of authentic, behind-the-scenes content that their customers love. Everlane uses Stories to reinforce their core value: transparency. They consistently share honest, detailed information about how each of their products are made. In their Stories, they go even deeper into the origins of each product, which builds trust with their customers and reinforces their brand. Everlane’s Stories also show off the quality and stylishness of their products. They’re not just FAQs; they serve as lookbooks that promote new offerings and show off their products. Instagram is transforming how users shop, so showcasing your products to drive sales is essential. What makes your brand special? 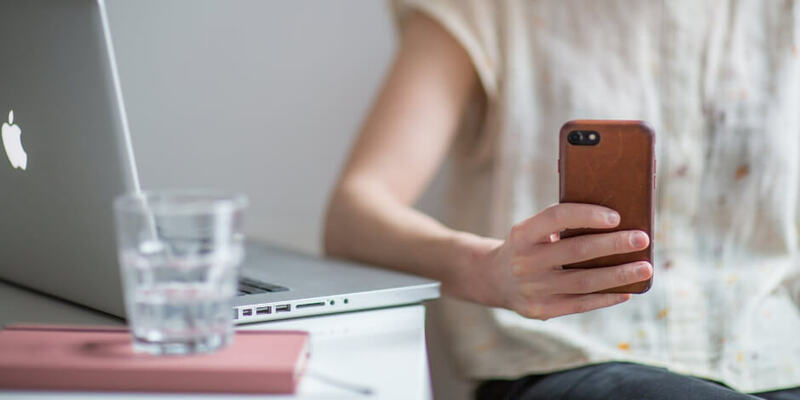 Whether it’s the range of your products, or the quality of your service, Instagram Stories is the perfect place to share what sets your company apart. The disappearing format means you can dive deep into a particular topic without taking up a ton of valuable real estate on your main Instagram feed. Glossier built their brand on social media, acquiring a massive Instagram following before they even launched their first product. So, it’s only natural that they’re ace at Stories. Glossier’s niche is skincare and beauty products for a millennial audience, and their fun, breezy Stories demonstrate how well they understand their customers. Their Stories regularly feature product Q+As and tutorials, polls, and original content like music playlists and quizzes. Stories often link to longer videos or articles, taking interested customers to more in-depth content on their website. The tone is warm and casual, like a friend who’s just offering great advice. They alternate these user-driven Stories with others that feature products or pop-up shops. This provides a mix of content that builds loyalty and brand awareness at the same time. As a result of their Stories, Glossier has a very engaged audience who also provide a ton of valuable customer insights. They reach out to their audience on Stories when developing new products, polling them on desired features or favorite competitors. This means each new product is launched with a precise understanding of their market. Connecting with your followers and starting conversations takes effort, but yields huge rewards — namely, more visibility for your posts. 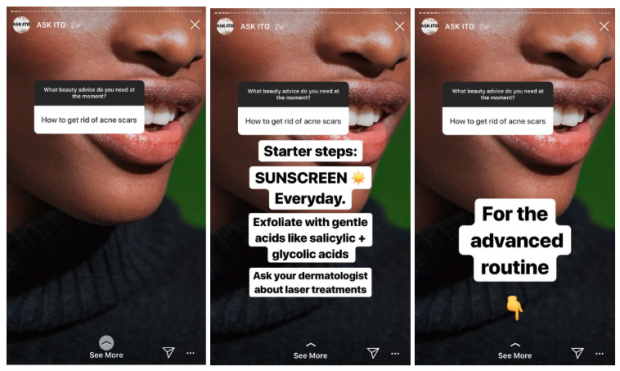 Glossier is exceptional at listening to their followers on social media and offering them a ton of ways to share their thoughts, whether that’s through Polls, the new Questions tool, or replying to Stories. By encouraging your followers to share their feedback with you through Stories, you can develop strong relationships and gain a ton of insights to inform your business strategy. Bon Appetit is best known for their monthly magazine of delicious recipes and restaurant reviews, but they also share original and exciting content on social media. Their Instagram Stories feature food tours, tutorials, recipes, interviews, and more. This content mirrors the high-quality, editorial look of their magazine, which reinforces their brand. What’s more, they post Stories daily, providing tons of fresh content and encouraging their audience to check in often to see what’s new. 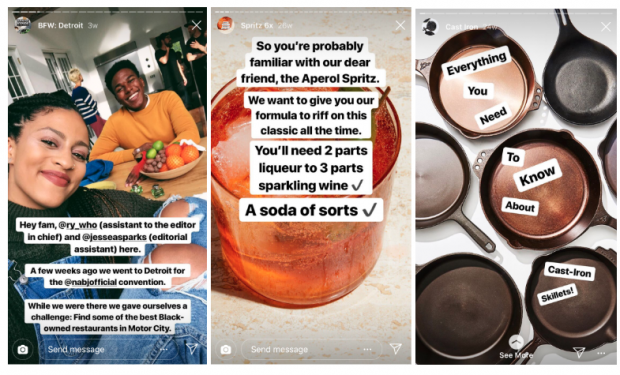 Bon Appetit’s Instagram Stories often complement their monthly print editorial themes and Instagram Feed posts, encouraging their followers to engage with them on multiple platforms. Bon Appetit’s account highlights the fact that while Instagram Stories is a more spontaneous, casual place than the Feed, users are coming to expect high-quality content. If your brand is refined and polished, your audience will expect that from your Stories too. Keeping your Stories active with original, exciting content is an awesome way to engage your audiences and keep them coming back for more. Use Stories to complement the content you’re generating on other platforms, providing additional value for your followers and encouraging them to visit your other channels. Article is a direct-to-consumer furniture company that relies on digital platforms to reach customers. 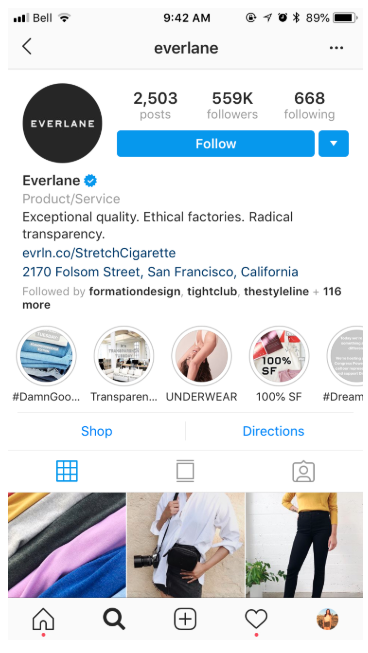 Article is great at using Instagram Stories to reproduce the traditional product and service information you’d find on their website, but in a more appealing format. For instance, Story Highlights include product FAQs and an overview of shipping options. Just because they’re informational, doesn’t mean they’re boring: they feature quality visuals, humor, and the occasional cute dog cameo. Visual consistency is a key part of building your brand on Instagram, and that goes for Stories too! Do you use social media to share information with your customers? Instagram Stories can be a valuable tool for sharing the kind of details you might find in an About or FAQ page, packaged to be fun and engaging. These Stories can raise awareness about your products and services, while also building trust and credibility. And if you throw in a cute dog now and then, they can also entertain! I know what you’re thinking: Google Maps? That utilitarian app that offers nothing in the way of visual excitement, unless you get a thrill out of urban grids? Surprisingly, they have a gorgeous Instagram Feed filled with incredible photos. There isn’t a map screenshot in sight (though you can find those on the strangely enjoyable Sad Topographies). In their Stories, Google Maps shares curated user-submitted shots of stunning locations tagged with #OnGoogleMaps. Followers can swipe up to save locations to their own Google Maps account, providing abundant inspiration for avid travelers. Even brands that don’t create photogenic products or exciting experiences can curate an outstanding feed. Look for opportunities to create or showcase high quality images, even if they don’t explicitly feature your product or service in action. This type of creative thinking proves that Instagram is a platform where any brand can excel if they can find and share amazing visuals. There’s no excuse for sharing boring or lackluster Stories; just think outside the box. The Gray Lady is unexpectedly innovative when it comes to using Instagram Stories. They complement their news articles with visually dynamic Stories. The Stories provide an introduction to the longer-form article, with an invitation to swipe up and read the full piece. These Stories take advantage of the high-quality photography produced for the paper, but they also pair each Story with text that hooks the viewer and makes them want to read more. In this example, the copy is doing as much heavy lifting as the imagery. For brands that produce written content or invest in their blog strategy, Stories can be used to extend the life and reach of your content. Consider how you can pull out interesting ledes or attention-grabbing excerpts that will make your followers want to swipe up for more. A social media content calendar can help you plan how Instagram Stories can amplify the reach of your blog posts or other content. Aritzia is a brand that excels at Instagram, with impeccable editorial content that showcases their in-house fashion lines. 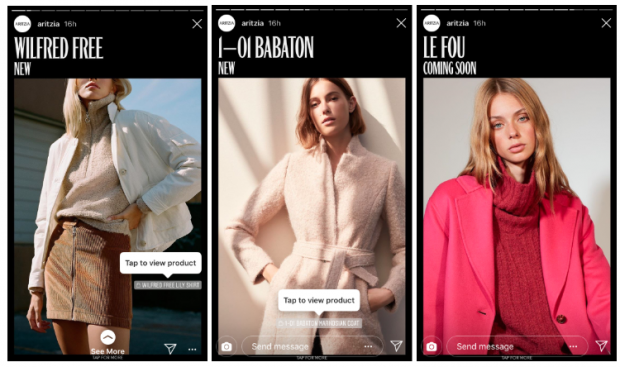 Fashion companies have an edge on Instagram, given that they’re in the business of making things (and people) look good, but Aritzia stands out from their peers when it comes to using one of Instagram’s newest features: Shoppable Stories. Their Stories mirror the sleek and polished look of their feed, and feature lookbooks, as-seen-on celebrity photos, and seasonal inspirations. They understand that their audience is following them to see the latest new products, and they make it easy to move from Stories to purchases in just a few clicks. Shoppable Stories are poised to be the next retail revolution on Instagram. Mastering the format now means you can make it as seamless and easy for your customers to discover and purchase new products (only physical items can be sold through Instagram shopping). You can get set up for Instagram Shopping by following our step-by-step guide. 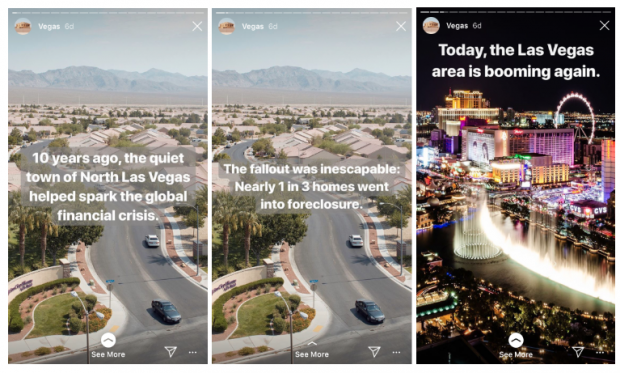 Now that you have a wealth of examples for using Instagram Stories to creatively and effectively engage your followers, you can apply these tactics to your own strategy. Happy posting!